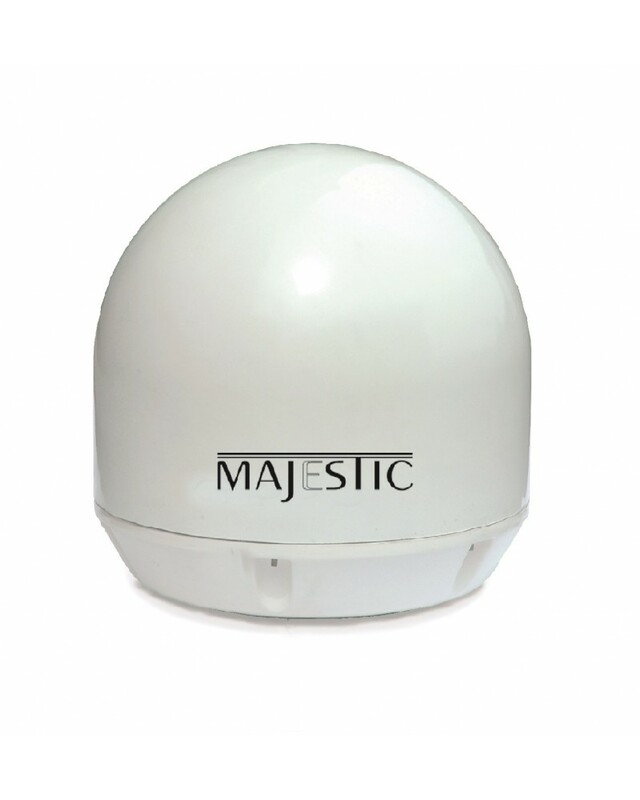 When it comes to very small and high performing Digital Tuner Automatic Marine Satellite Antennas the Majestic SATMAR32D is your ultimate choice. Ultra Small, compact and packed with features, unilimited Azimuth and fully gyrostabilzed the SATMAR32D will be perfect for you and your family watching TV in your boat. 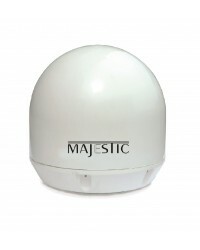 The SATMAR32D is currently the smallest Digital Satellite TV antenna that Majestic offers. It has been designed for super fast aquisition using our latest state-of-the-art software and HSDT (High Speed Digital Tuner) you can be assured that the SATMAR32D is going to keep a stable signal whilst travelling. Majestic has been leading the world with cutting edge satellite technology and the performance of the SATMAR32D is evidence of this. Perfect for boats less then 45ft, the SATMAR32D will keep your family and your guests well entertained. Power Efficiency: With over 15 years experience in developing energy efficient entertainment products the SATMAR32D was designed with power consumption as the primary factor. 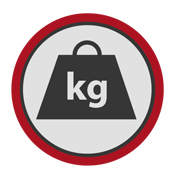 This unit draws a maximum of 3 Amps maximum while doing a search once locked on it enters a power saving phase to minimise power consumption based on the conditions, the heavier conditions the more power is used to keep the SATMAR32D Marine Satellite Antenna locked on, the lighter the conditions the less power it uses. 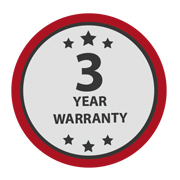 Voltage Range: Most companies claim they are 12 Volt, and technically yes they work on 12 Volts. However the issue is the level of tolerance the electronics have, most 12 Volt electronics have a limited tolerance, generally between 11V and 14V. This can cause many people problems especially when they have long cable runs, or the battery voltage drops a little (especially late at night), or even if they have a poor power connection. The Majestic SATMAR32D is designed to work from 10V through to 18V DC, therefore ensuring you will not have any power issues. Tuner: HD Digital DVB-S Tuner is built in the Majestic SATMAR32D Marine Satellite TV antenna IDU black box which allows you to be able to receive Full HD Digital Signals to your TV or Decoder box or directly into a Majestic TV. The HD Digital DVB-S Tuner allows you to receive Freeview signals from the satellite and connect to a Sky decoder for those that have Pay TV. The Majestic SATMAR32D Marine Satellite TV antenna gives you the huge advantage of full HD Digital performance when you are away from local TV stations.